In this issue: Jon and Lobo return, Man and Kzin contend—plus, the May contest and April poll results! When nano-enhanced mercenary problem solver Jon Moore meets a dangerous woman from his distant past and undertakes a high-risk mission, Lobo fears this mission will be their last. The job is illegal. The target is one of the most powerful men alive. A team of seasoned mercenaries is tracking them. And Jon is falling in love. A new entry in Larry Niven's legendary Man-Kzin series. In war and in uneasy peace, kzin continue their attempt to deal with those clever leaf-eaters, the humans. A masterful addition with stories by Jane Lindskold, Hal Colebatch, Charles E. Gannon, and more. Lobo: the sardonic and loyal companion of Jon Moore in Mark L. Van Name’s popular Jon and Lobo series. 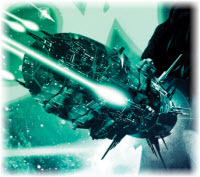 Oh yeah—Lobo is also an AI-inhabited space battlecruiser of enormous power and destructive potential. So, dear reader: what you would do if you could have Lobo for a day? 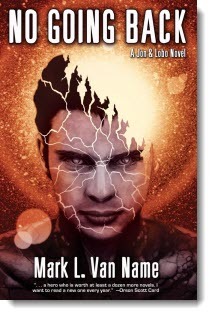 Send us your answer in 500 words or less, and the winning entry will receive a signed first edition of Mark L. Van Name’s new entry in the Jon and Lobo saga, No Going Back, plus five free ebooks! When nano-enhanced mercenary problem solver Jon Moore meets a dangerous woman from his distant past and undertakes a high-risk mission, Lobo fears this mission will be their last. 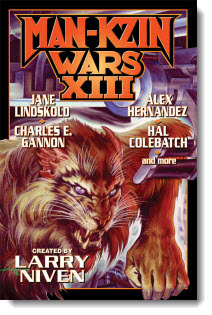 Larry Niven's bestselling Man-Kzin saga rolls on. In war and in uneasy peace, kzin and humans continue sparring for mastery of known space. Humans have battled back from a conquest by a tyrannical alien species to become a force to reckon with in the galaxy. On a crash-building course, we’ve built a near-impregnable battlestation of Deathstar proportions. Now the time has come to use it. In a gritty alternate reality, hardnosed private eye and war vet Jake Sullivan has a magical talent: he can alter the force of gravity at will. Now Jake has just attracted the attention of ruthless conspirators who believe that he is far too dangerous to live. An implacable foe with telepathic cohesion in battle and eons-advanced engineering skills threatens to wipe humanity from the galaxy. Now they’ve overcome their one weakness—no faster-than-light travel—and have followed humanity through our star gates and beyond. A new entry in the Starfire saga. 1345: a silver ship lands in a pasture in northeastern Lincolnshire. The Wersgorix, whose ship it is, are quite expert at taking over planets, but this time they've launched their invasion against free Englishmen. 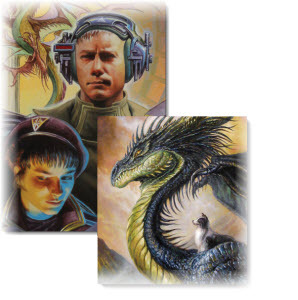 We had a tremendous response to our April contest and the accompanying Favorite Buddies in Science Fiction and Beyond Poll which received nearly 1,500 total votes. Honor and Nimitz of David Weber’s Honor Harrington series won with a somewhat eerie 666 votes, followed by none other than Jon and Lobo of Mark L. Van Name’s Jon and Lobo saga, with 339. 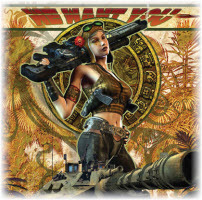 Don't forget to check out the latest Ebook releases, and Baen.com free fiction, Alex Hernandez’s “A Murder of Crows” here. Plus an amazing nonfiction think-piece by spider scientist Dr. Robert E. Furey, “The Social Spider as Alien Invader” here. And don’t forget to check out Paula Goodlett and Gorg Huff on the creation of the latest upcoming in Eric Flint’s Ring of Fire series. Read “Geek Bias and the Making of 1636: The Kremlin Games” here.